Pioneers in the industry, we offer low pressure calibration pump, calibration pressure pump, thermo- anemometer and hydraulic calibration hand pump from India. Dwyer Low Pressure Calibration Pump for calibrating Low Pressure Gages and Transmitters. 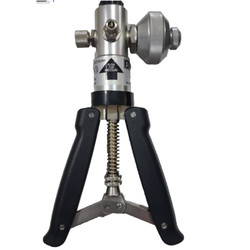 It is used for calibrating pressure transducers, precision pressure gages and other pressure instruments. Heat insulation and heat preservation, no negative side effects from temperature ranges. Open structure for convenient maintenance of pumps. 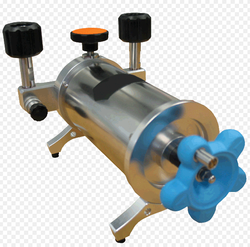 Calibration pressure pump is light weight yet high quality combined pressure and vacuum hand pump. 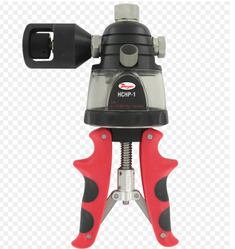 It has been designed to provide maximum pneumatic pressures efficiently and effortlessly. 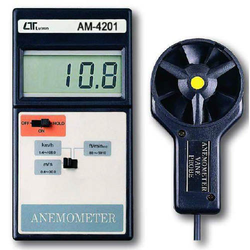 We are engaged in offering our clients a superior quality range of the Thermo- Anemometer. Dwyer Universal Handheld test Instrument combines versatile UHH handheld base with various compatible probes and modules. UHH measures Differential Pressure, Air Velocity, Volume Flow, Relative Humidity and Temperature using wired and wireless probe. These wireless Probes/Modules can be connected to your mobile Phones & Tablets which convert your smart devices into Manometer, Thermo-Anemometer & Thermo-Hygrometer. Our firm offers a high-quality range of Dwyer Hydraulic Calibration Hand Pump. It utilizes a fully adjustable stroke control that allows for quick priming, easy pumping and fast pressure generation. The ergonomically engineered handles provide extra comfort, while the triple filtration system ensures pump operation in spite of dirty conditions. Looking for Calibration Instruments ?